If you are an old man and you still skate, listen up!! 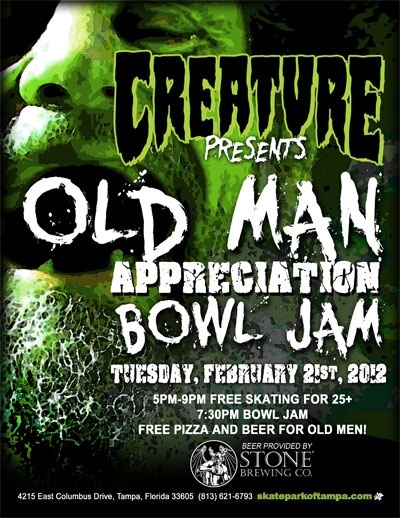 The Old Man Appreciation Bowl jam is scheduled at Skatepark of Tampa on Tuesday, February 21, courtesy of Creature Skateboards. I was told there will be free beer, pizza and skateboarding. The session lasts from 5pm-9pm, with the bowl jam starting at 7:30pm.